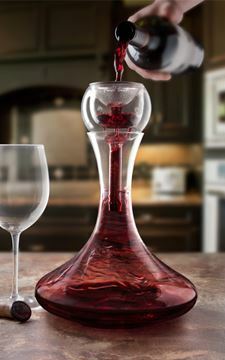 Insert the aerator for decanters into your decanter, and then slowly pour a bottle of wine into the aerator. 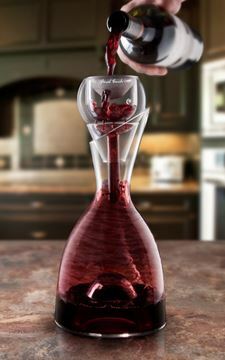 As the wine travels through the aerator it is forced through small holes which spray the wine throughout the decanter. 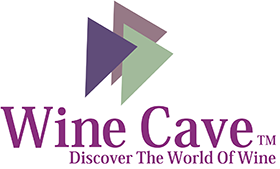 Because all of the wine has been exposed to air using this enhanced method of aeration, it provides instant and maximum oxygenation to the entire bottle. 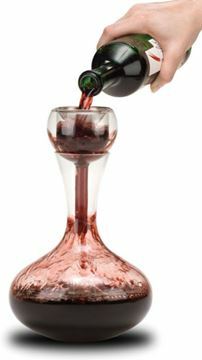 With this type of aeration, you don’t have to wait to enjoy your wine; it is ready to be served immediately after decanting. This aerator has a unique design that provides aeration to a whole new and higher level using a 3 phase aeration system. 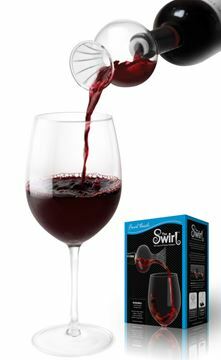 Easy to Use Insert into the bottle with a gentle twisting motion. Pour and Serve.